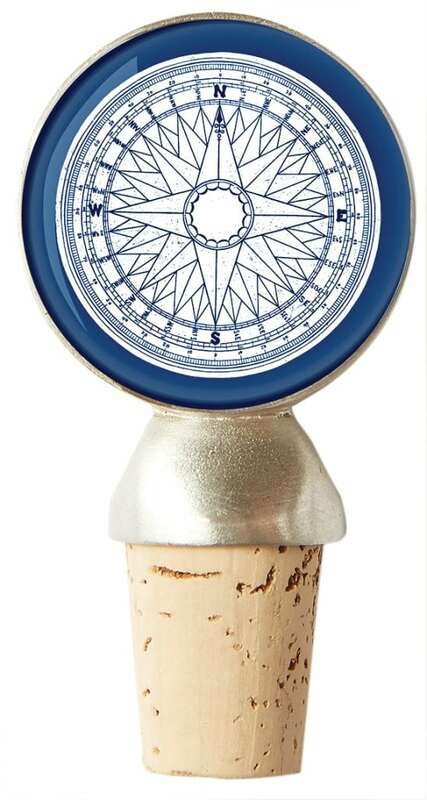 Dress up your wine bottle with this Compass Rose Wine Stopper from Chart Metalworks. Made in Maine, USA, this showy wine stopper features a quality pewter, breathable cork stop, which measures 3 inches from top to bottom on a 1.5-inch face. The satin, silver finish pewter is lead-free and mimics sterling silver. FDA approved.